Here's an app that made me want to go out MORE. Cotton candy clouds? Rainbow beach? 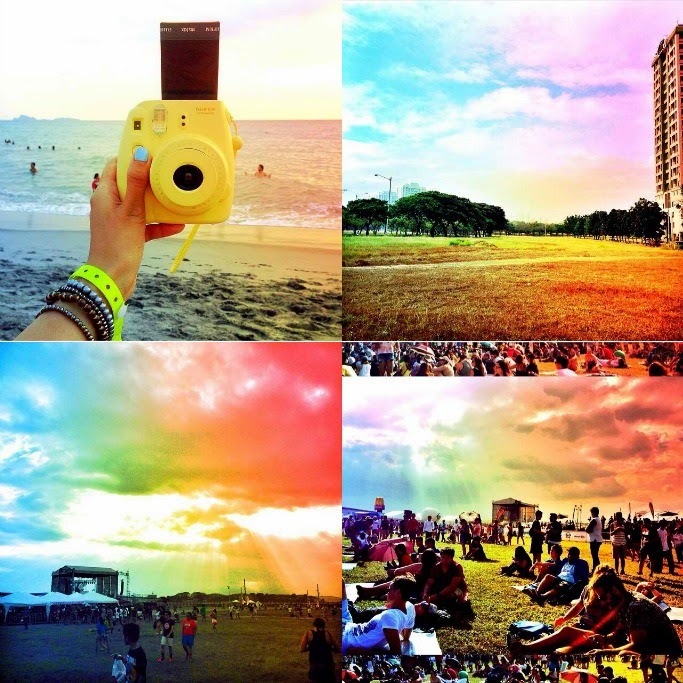 Colorful music festival? Find out why I abused Photo Studio so so much last summer. Photo Studio is one of the simplest, solely for filter purposes app that I downloaded. 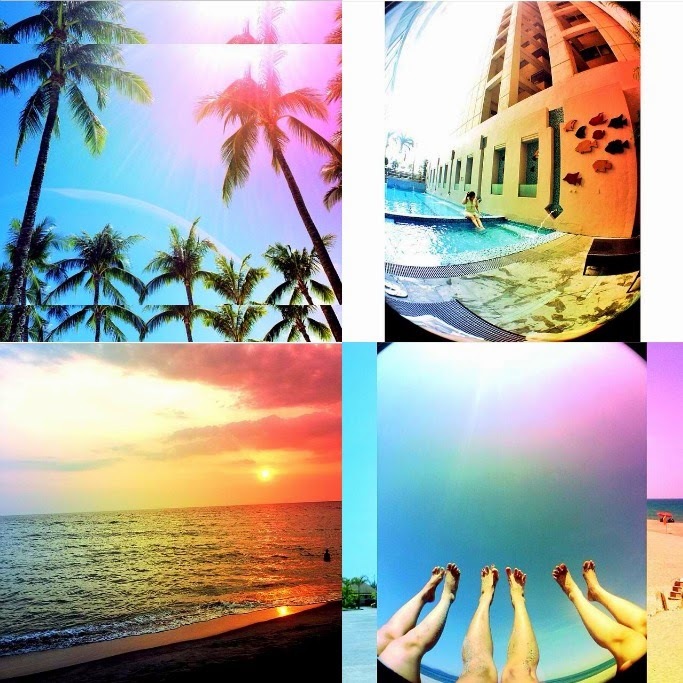 To create the rainbow filter, take a photo or choose one from your files. Hindi ko alam anong purpose nung nakareflect ako sa middle ng logo nila, haha, pero medyo nakaka weird out sya every time. Lol. Although pwede namang any photo, like your selfie, for me lang naman--Photo Studio works best with nature shots. For my sample, I'll go for these trees na view ko sa pool area of Hotel Intercon. Click FX or Add Effect, which you can find sa taas and gitnang gitna of the app. They have a lot of categories, including Fancy, Vintage, Grunge, Blur, Artsy, etc. Pick the FANTASY categ. Instant burst of colors! Nag add sa drama diba? Save your work, or edit it in your usual photo app for more contrast, brightness, or saturation. Here's my Instagramable nature shot! Boracay and Zambales beach trips, poolside, and 7107 Music Festival throwbacks! :) I usually mix it with Pics Art app for more more effects. Enjoy, and follow me on IG @anagon! Among the photo editors Pics Art application is considered to be quite specific. Its main feature is a large number of a variety of optical and light effects, reflections, glows and bokeh. I recommend to use Mac editors as https://macphun.com/fxphotostudio for better results.